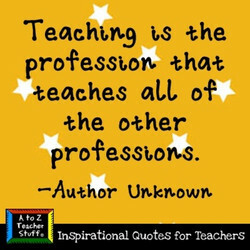 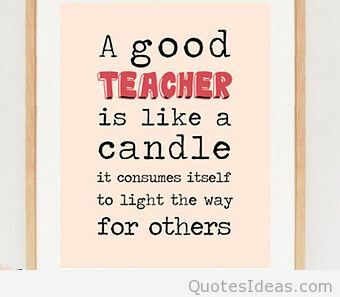 I was never really cut out to be a student, I prefer to actually work and get a project done and learn that way- but I have a huge respect for good teachers and even enjoy teaching...I am a conundrum! 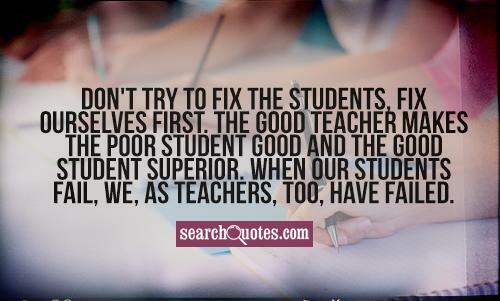 The need to assure that every child has the opportunity afforded by good teachers is urgent. 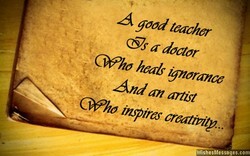 As urgent as the need to be well nourished and for exactly the same reason. 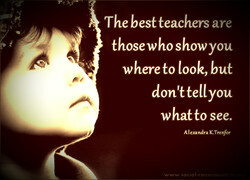 A child's growth depends on it. 'Creation science' has not entered the curriculum for a reason so simple and so basic that we often forget to mention it: because it is false, and because good teachers understand exactly why it is false. 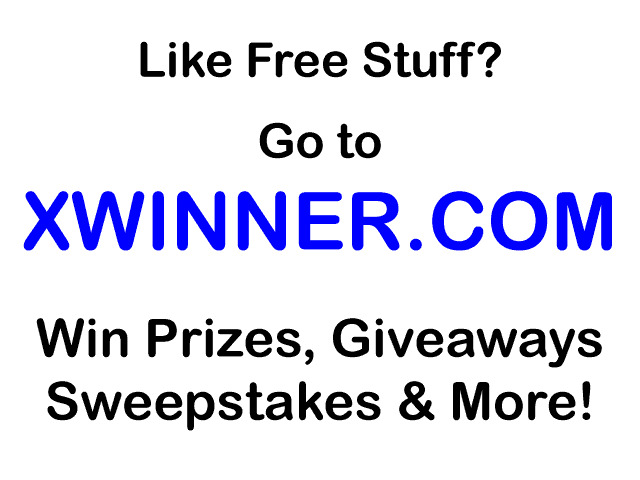 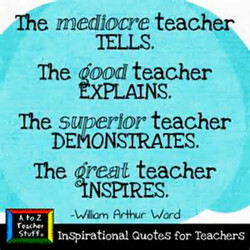 We want to prove we are good writers or good business, good parents or good teachers. 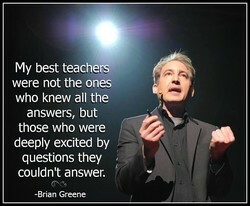 The world is very competitive and catches us in this frenzy. 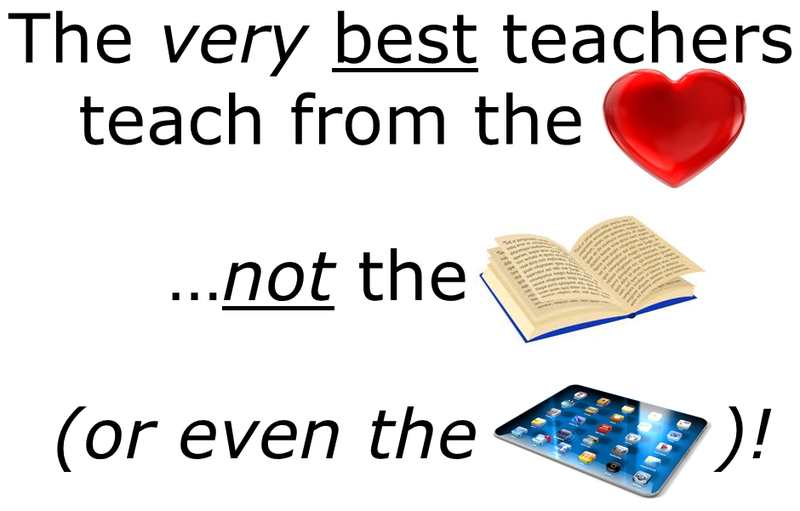 It wants us to go here, be there, and be part of this or that. 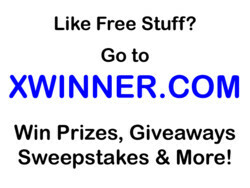 I'm 67 years old now. 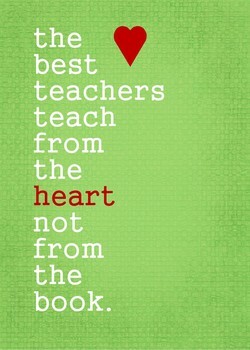 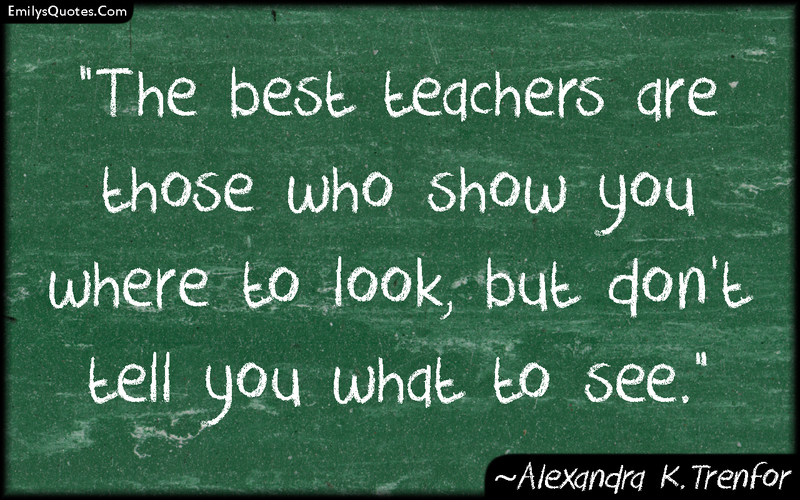 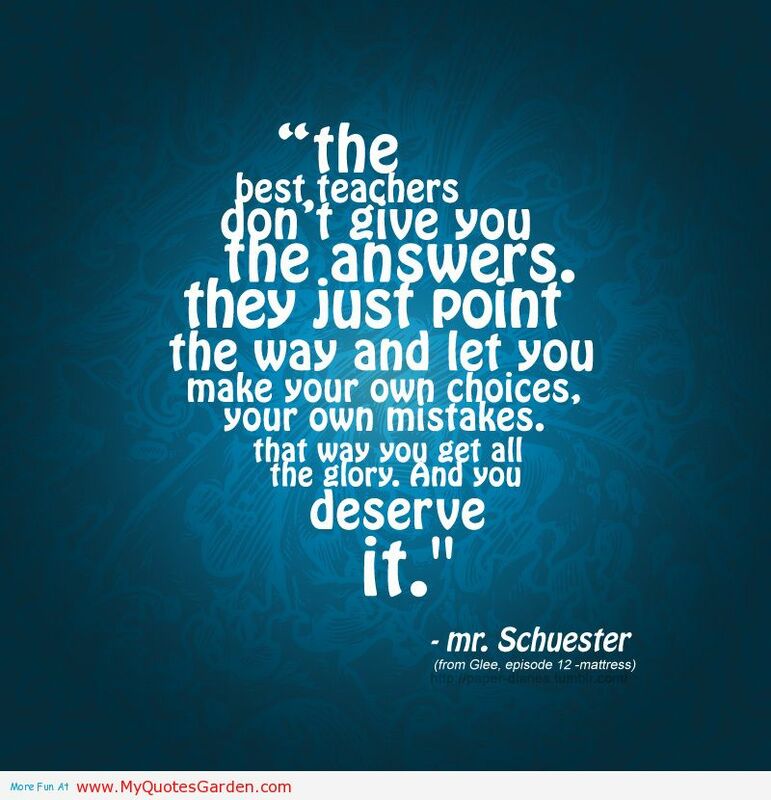 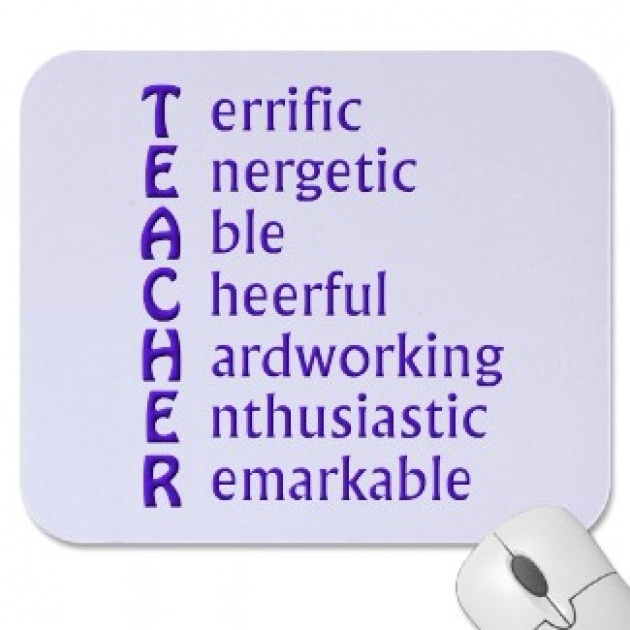 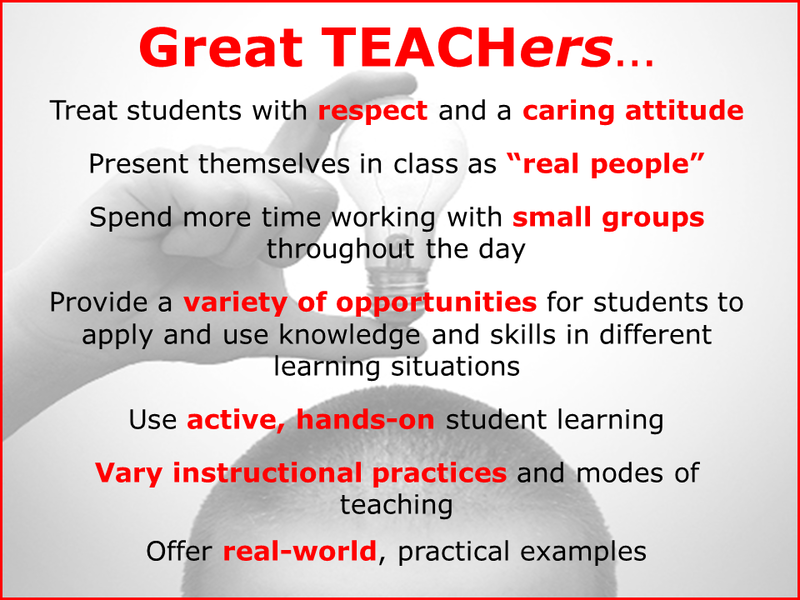 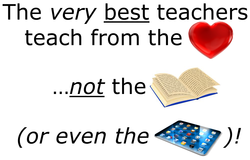 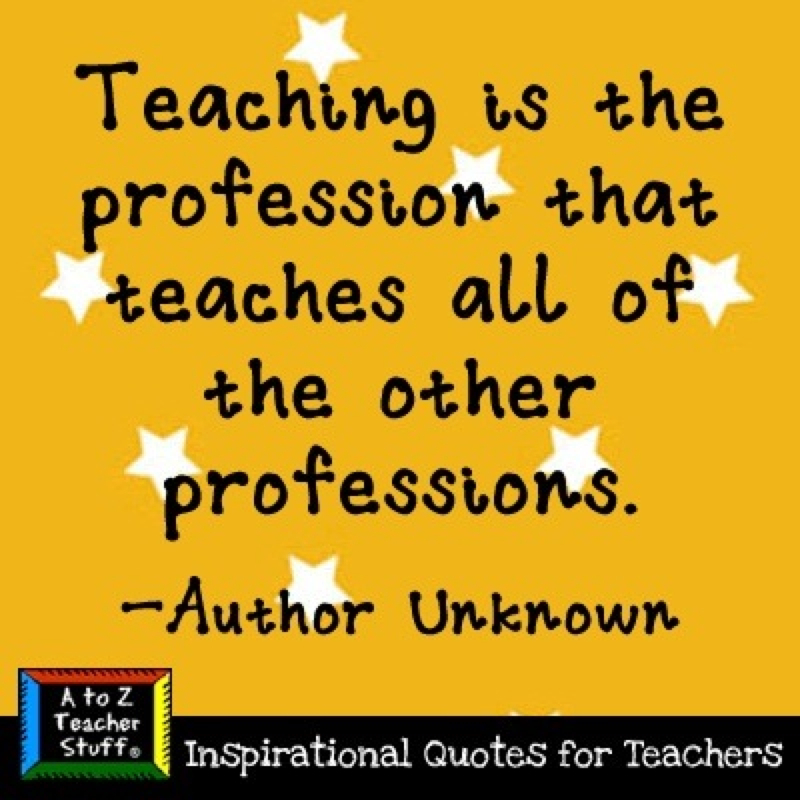 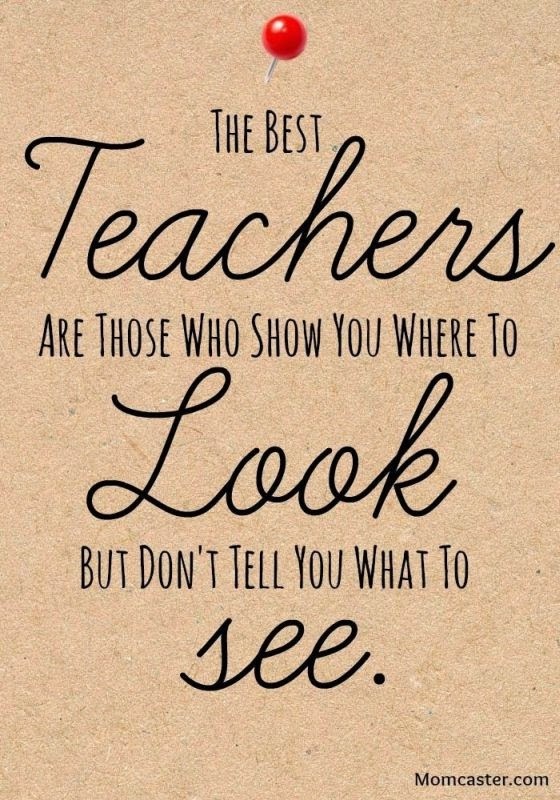 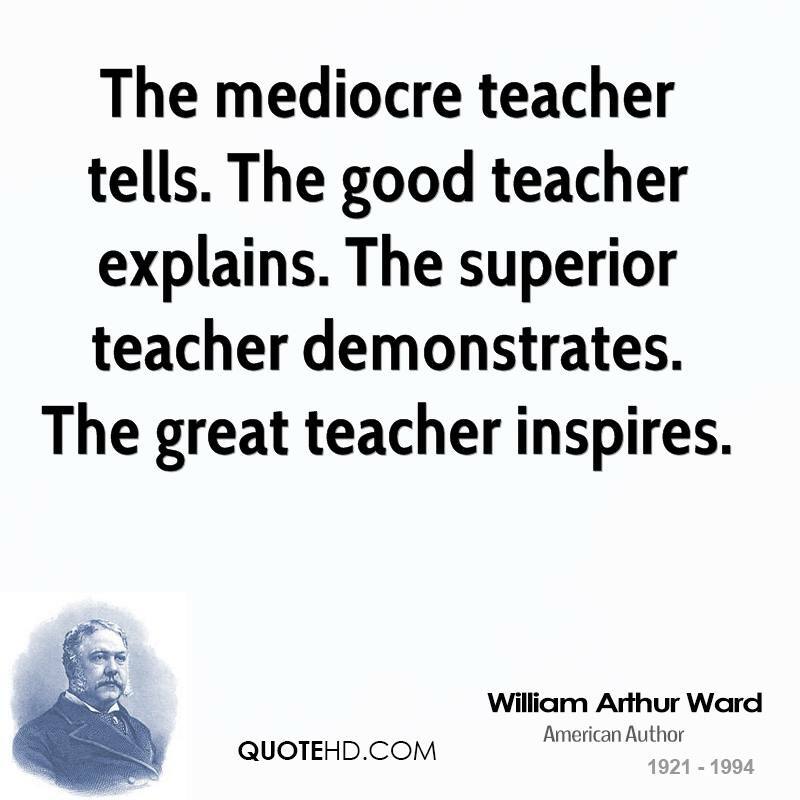 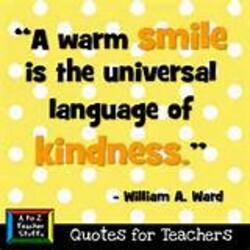 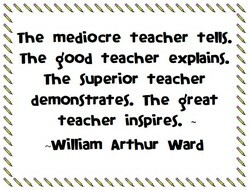 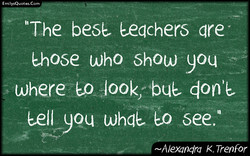 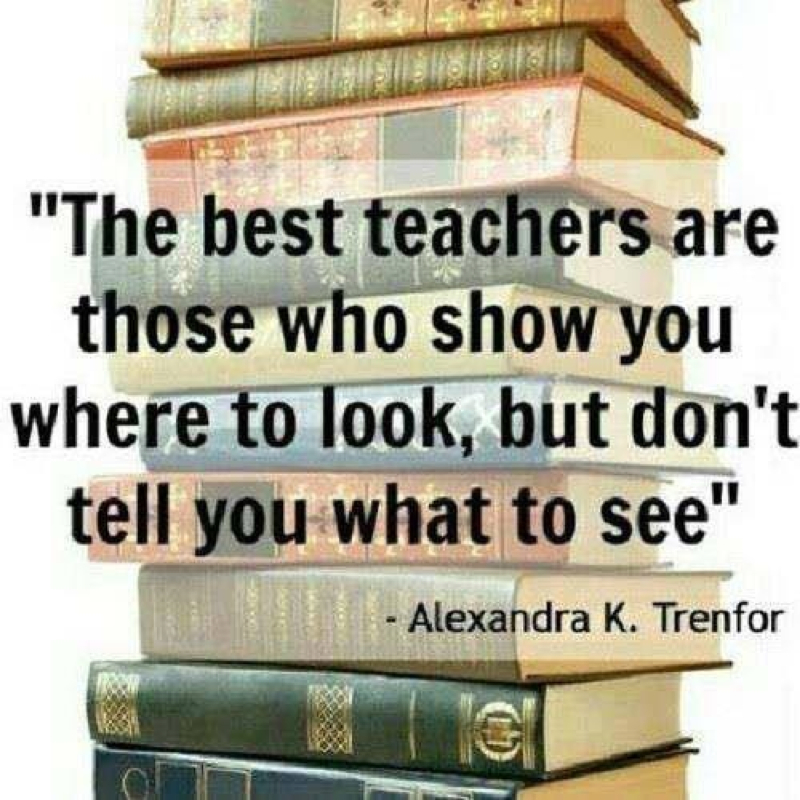 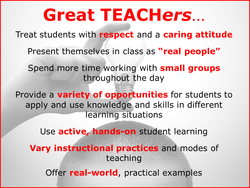 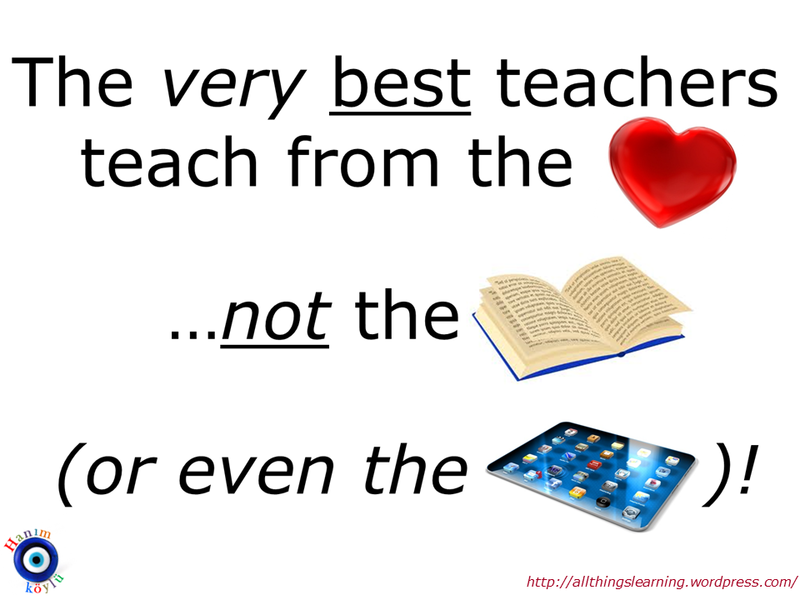 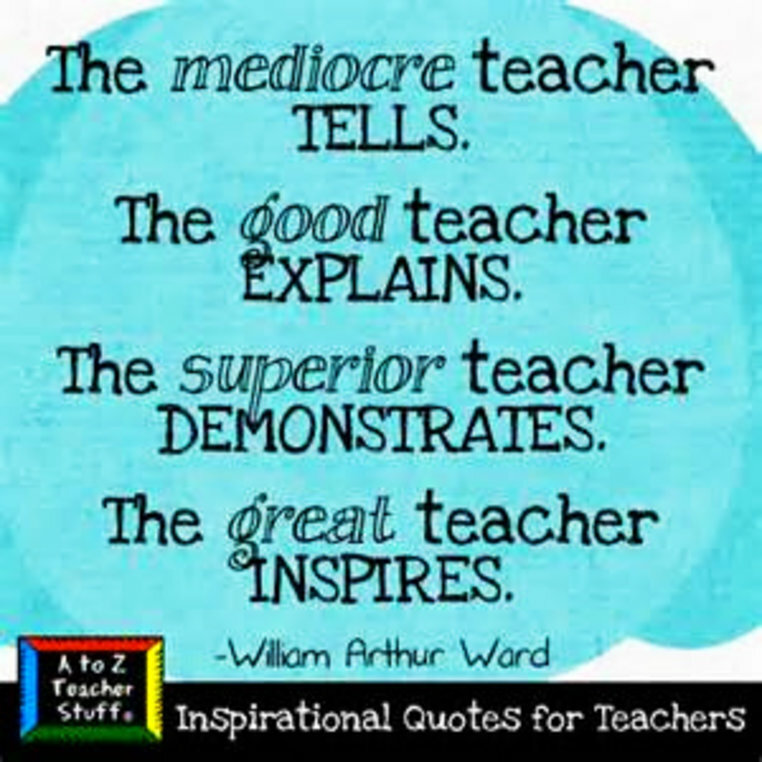 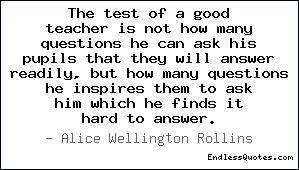 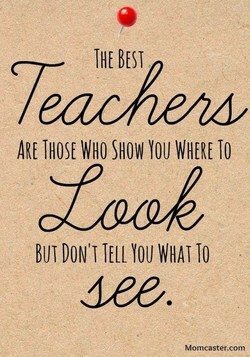 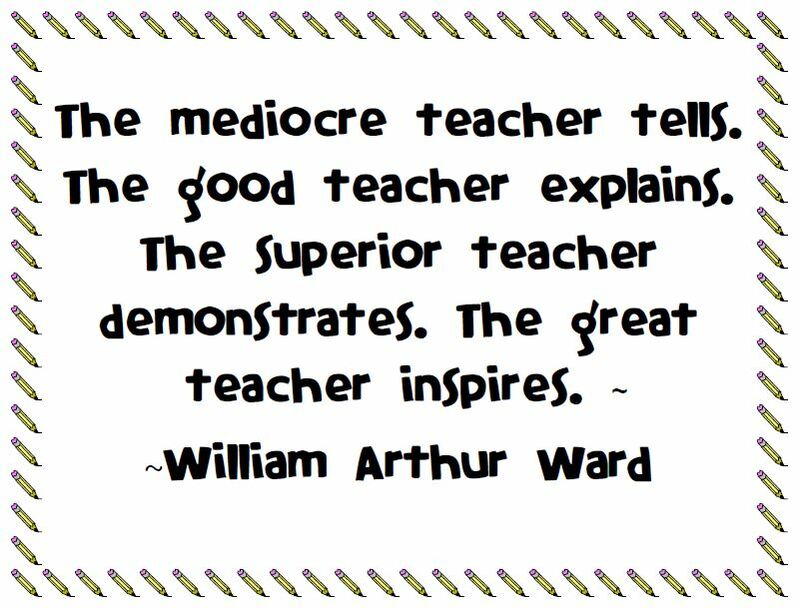 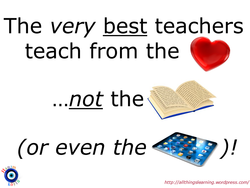 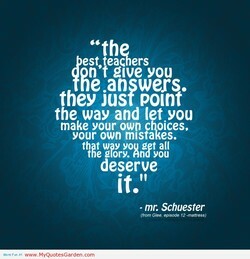 I've had a lot of good teachers over the years; and they have been very, very different from one another. 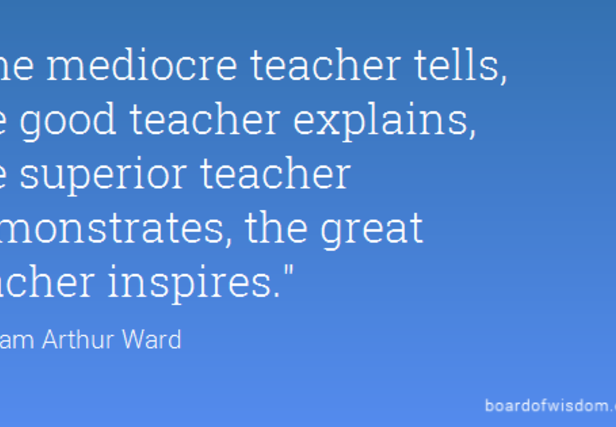 They all had passion for what they were doing, but their styles were unique to them as individuals. We have lots of heroes today - sportsmen, supermodels, media personalities. They come, they have their 15 minutes of fame, and they go. 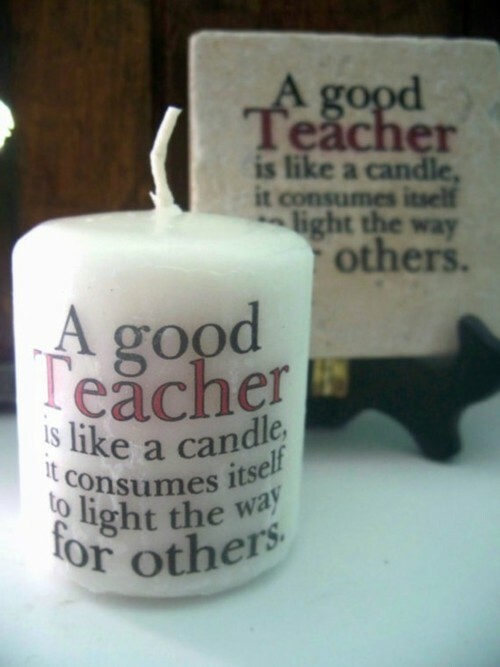 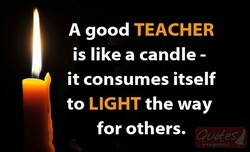 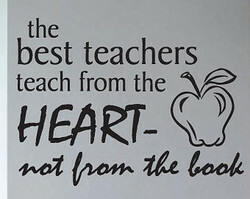 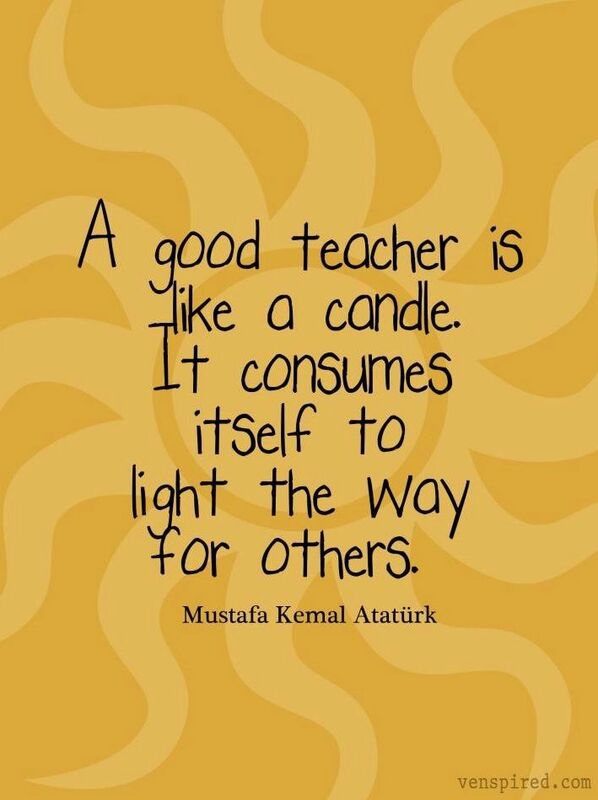 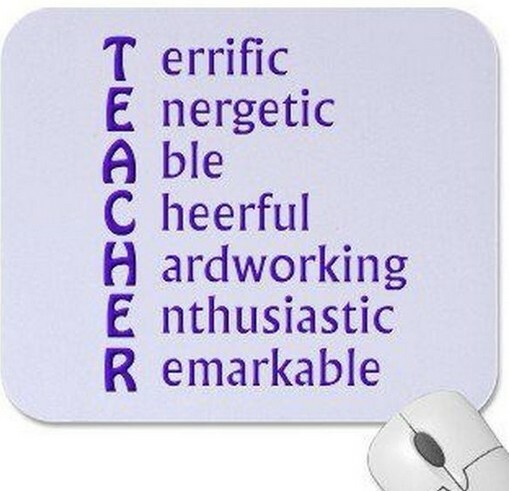 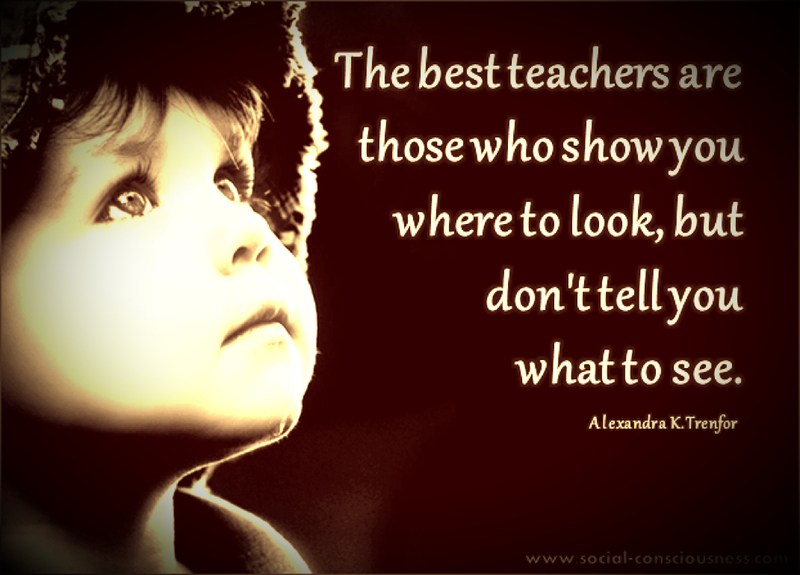 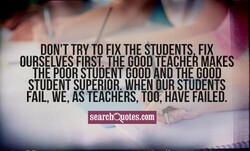 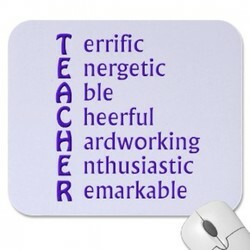 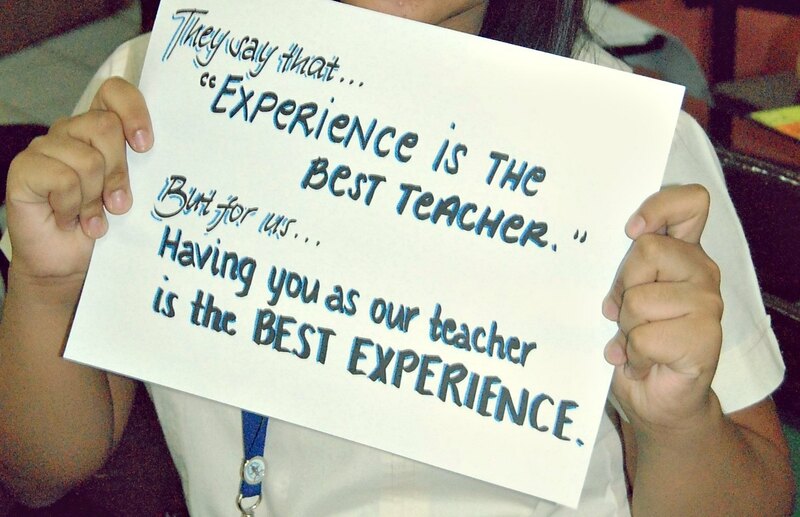 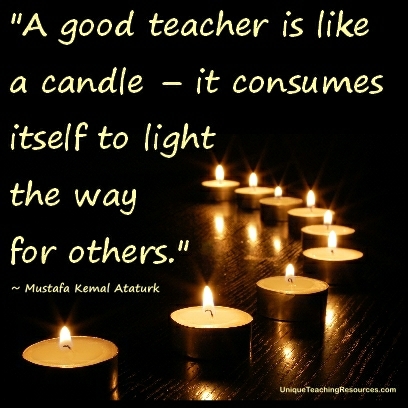 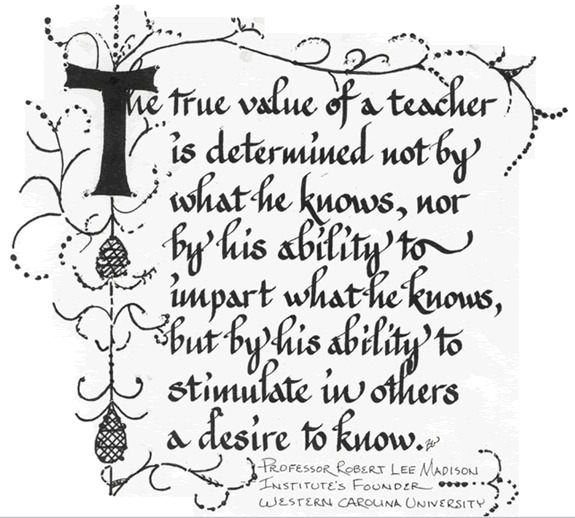 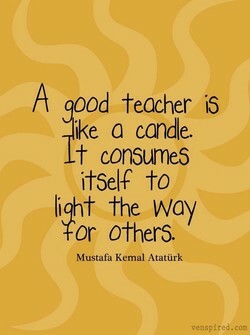 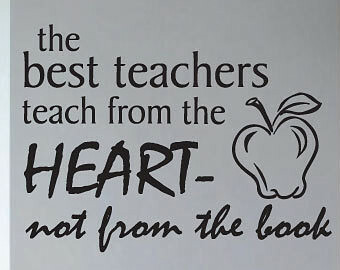 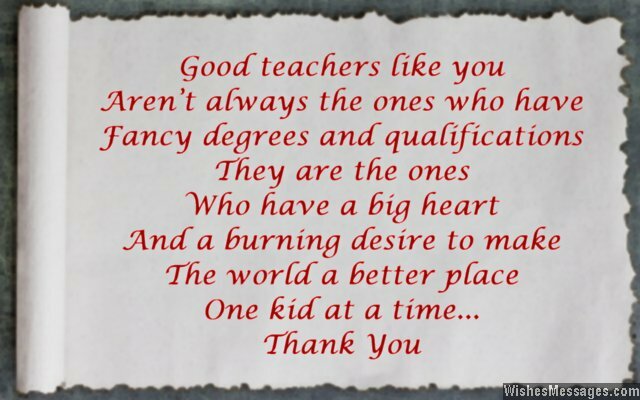 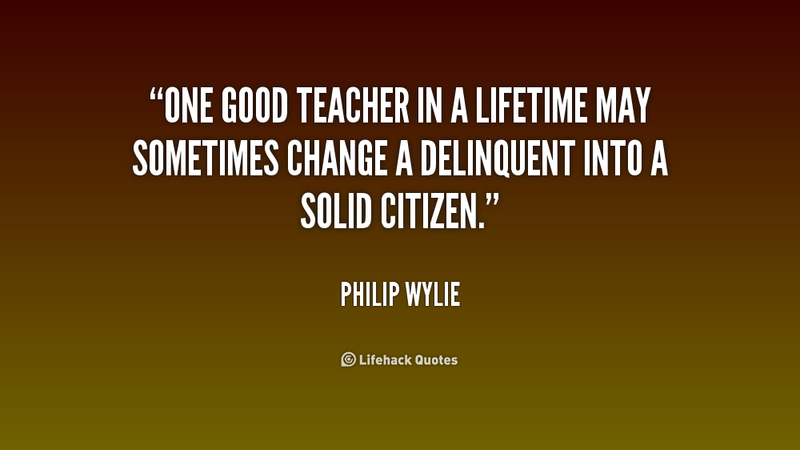 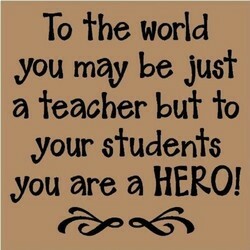 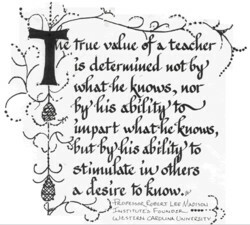 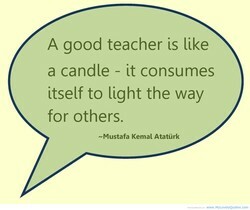 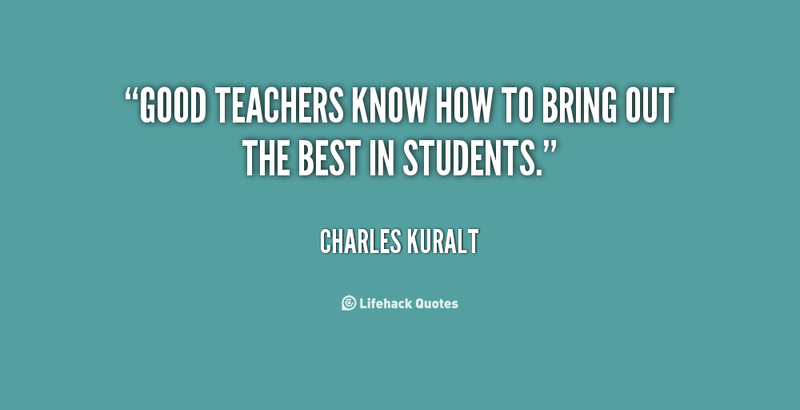 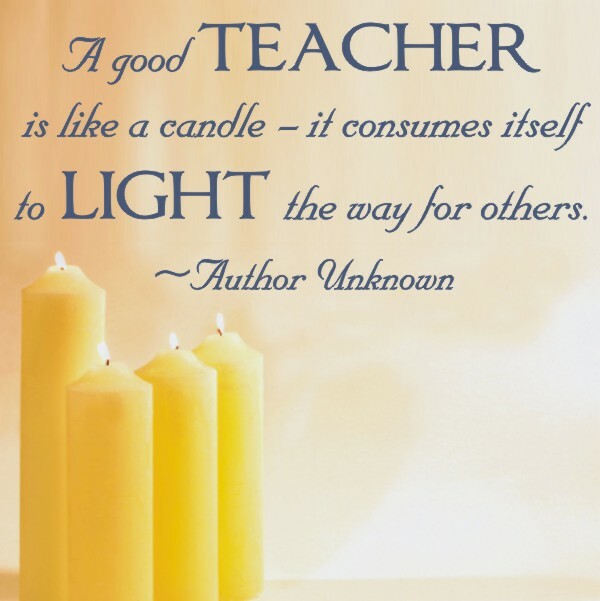 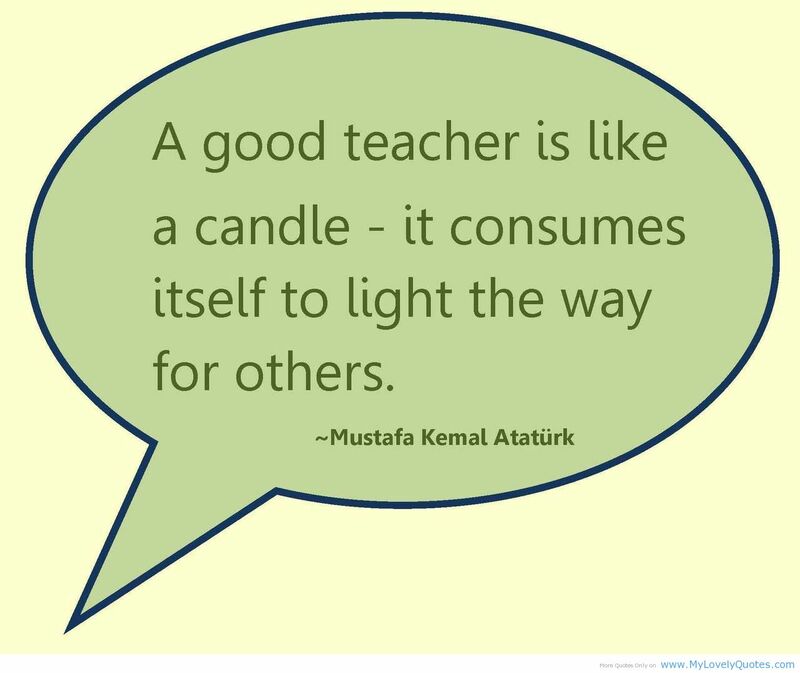 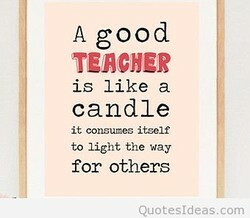 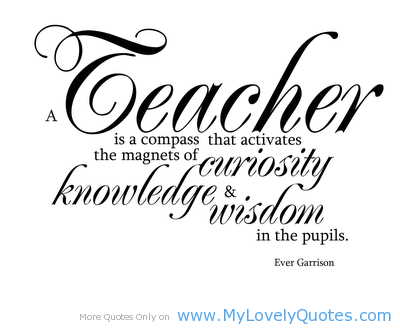 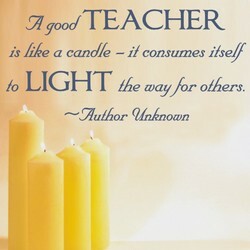 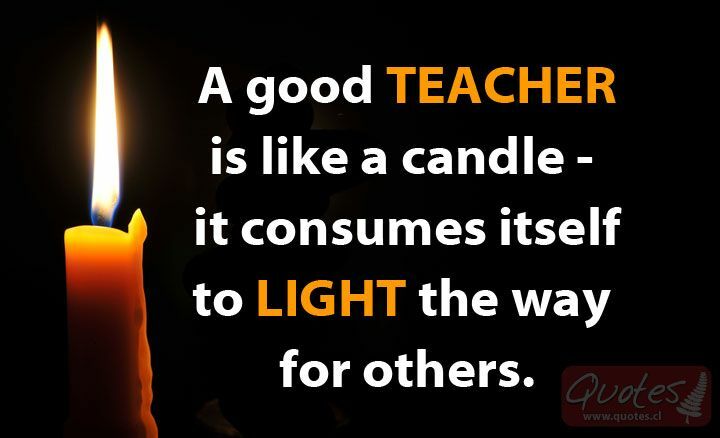 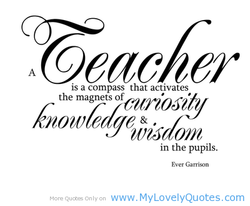 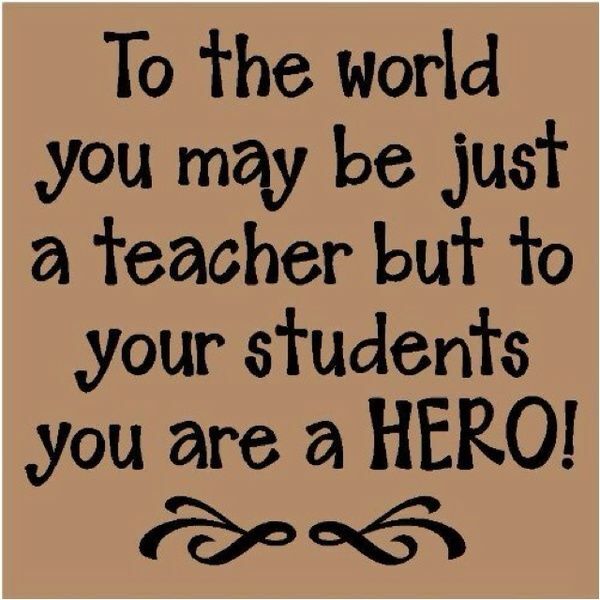 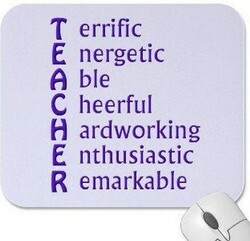 But the influence of good teachers stays with us. 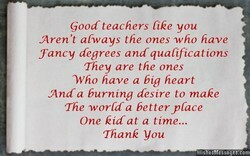 They are the people who really shape our lives. 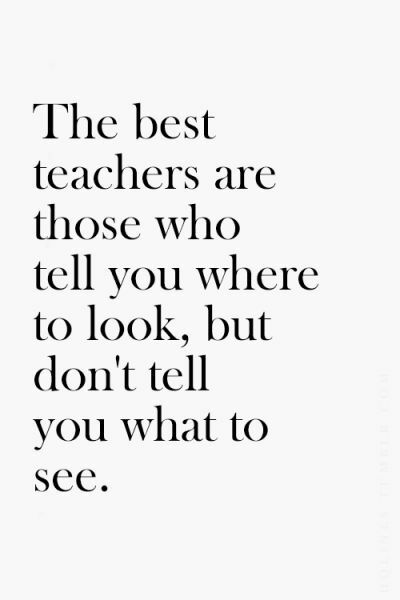 So what I liked about Zen was that it never goes off into the realm of imagination land, or if it does occasionally, the good teachers will openly address it specifically as only imagination. 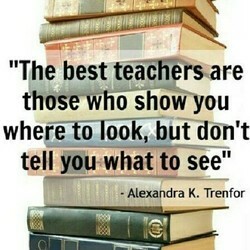 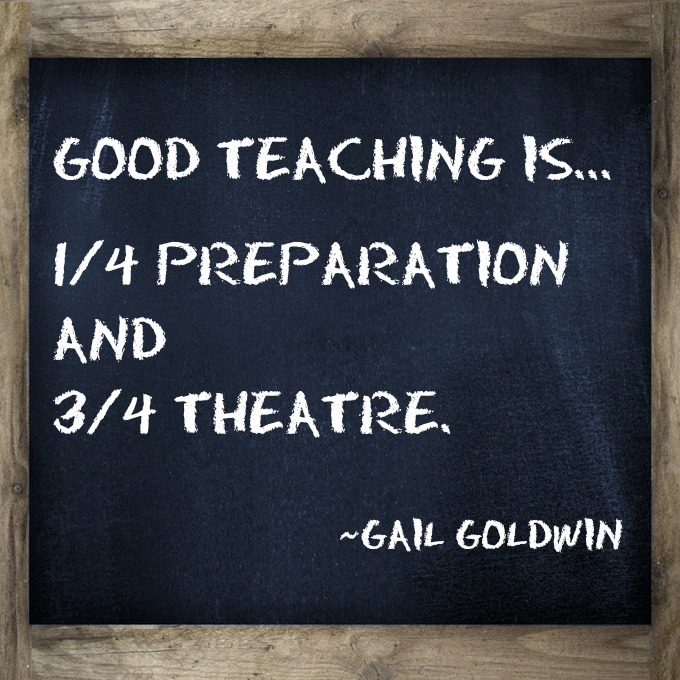 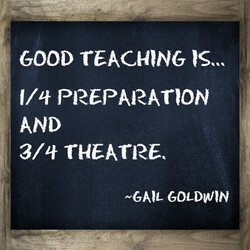 Both of my teachers were very good at that. 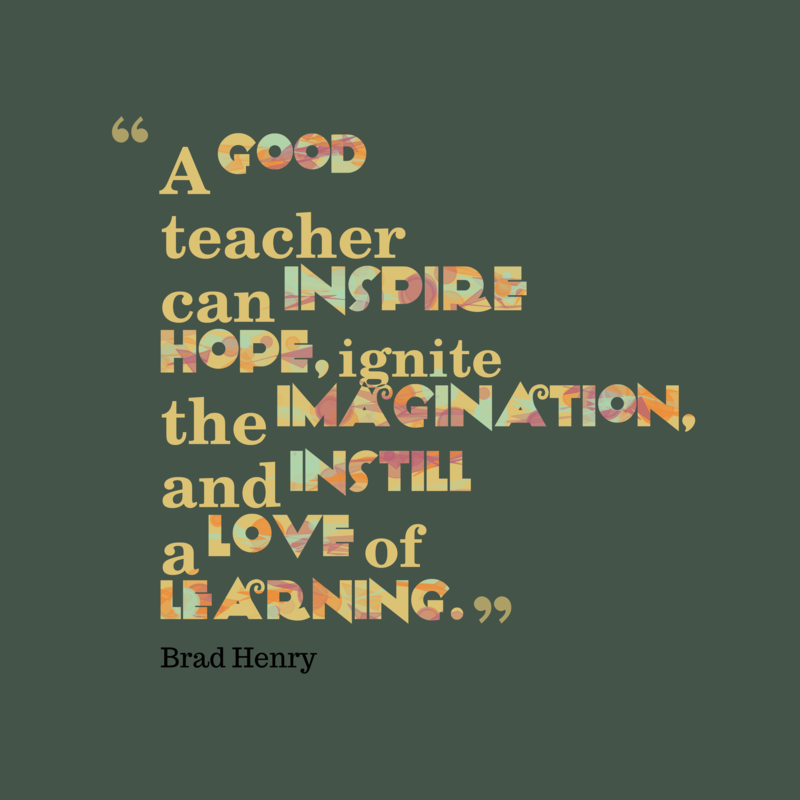 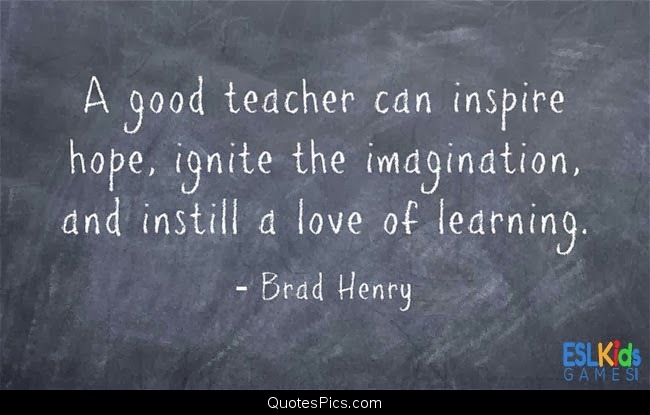 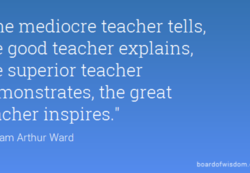 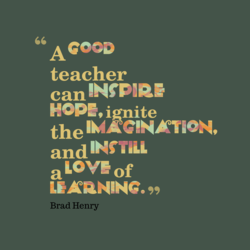 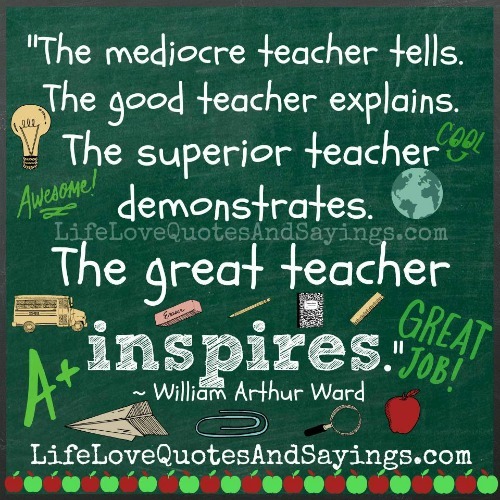 I used to think great teachers inspire you. 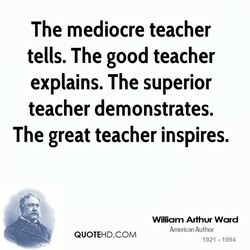 Now I think I had it wrong. 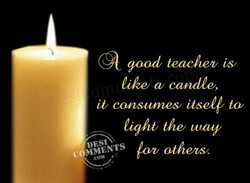 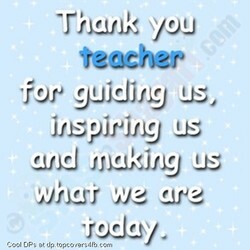 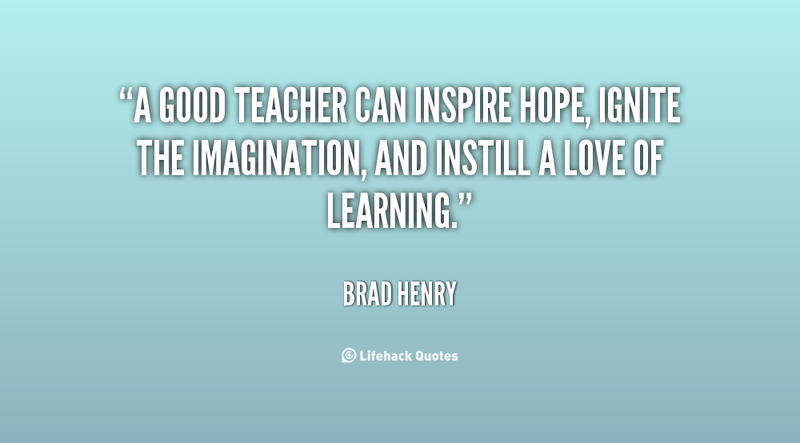 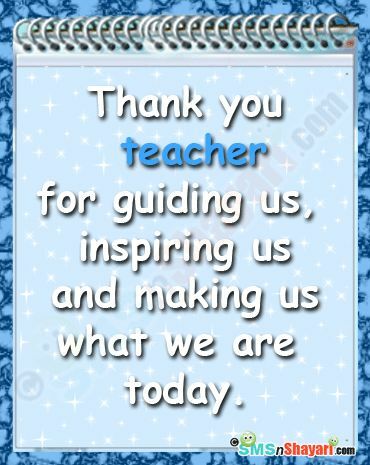 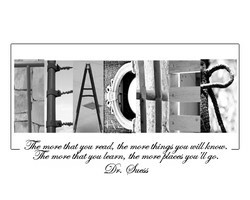 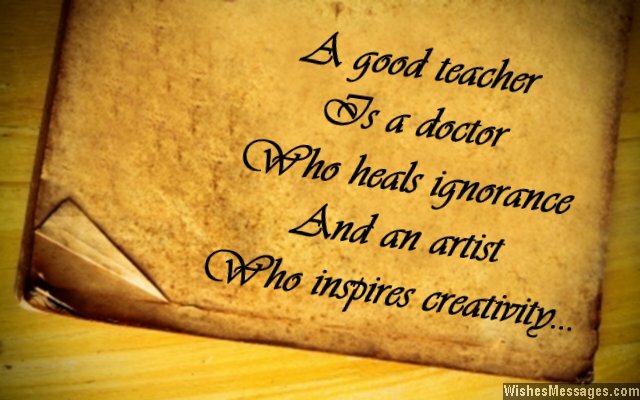 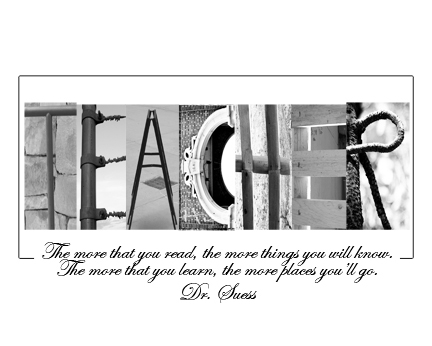 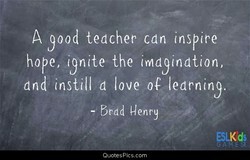 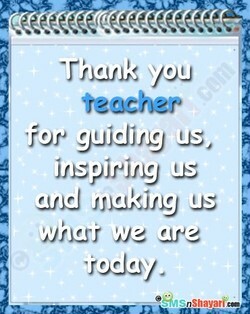 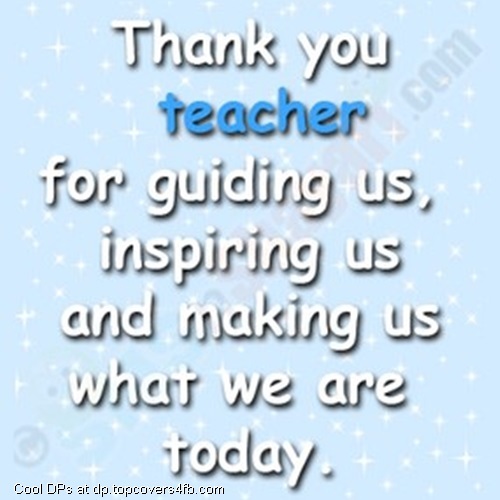 Good teachers inspire you; great teachers show you how to inspire yourself every day of your life. 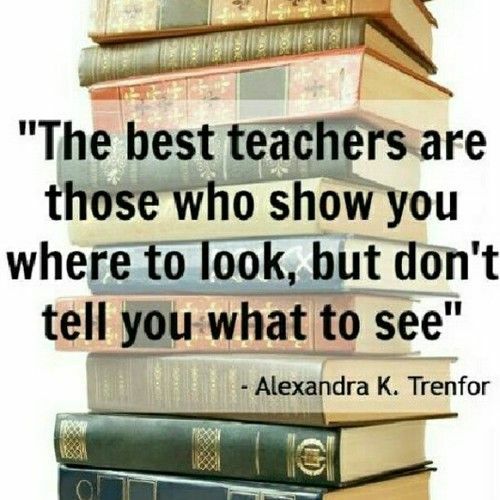 They don't show you their magic. 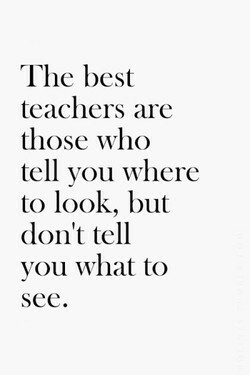 They show you how to make magic of your own.